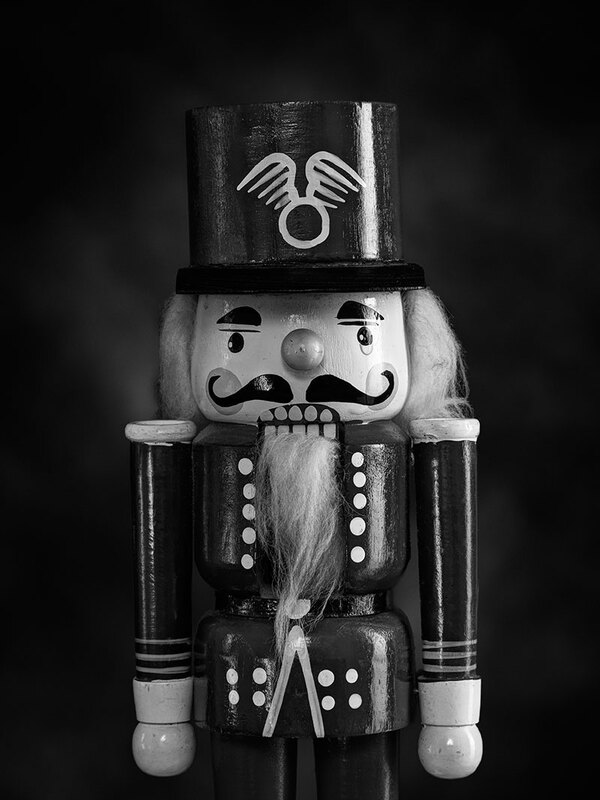 The day the nutcrackers cried | Ed Foster Jr.
My older sister took a shine to her nutcrackers. Not the really useful ones for revealing the meat of a nut, but carved and painted blocks of wood with spine controlled mandibles. It was mere hours before Christmas of 1985 when her precocious five-year-old spotted a tall and stately red-cheeked king in the department store. He tugged at his dad’s jacket and insisted that monarch belonged to his mom, his queen. She must’ve made the tyke feel really special when she unwrapped that first levered figurine. Every year when he helped her shower their home with an abundance of Christmas lights and holiday do-dads his thoughts turned to finding another completely different nutcracker to surprise her with. He longed to see that special look in her eyes. The king’s monarchy grew larger every Christmas morning with the new arrivals. There were nutcrackers that resembled toy soldiers, a teacher, a rocking horse, a baseball player and her favorite, a battered football player who shared televised gridiron battles with her on Sunday afternoons. The colorful figurines stood tall on shelves in the family room, cabinets in the living room and atop the dresser in the bedroom as her little man matured. They were there when he started shaving, the night he left for the prom, when he donned a cap and gown on multiple occasions and when he joined a college faculty. Before the leftover Thanksgiving turkey carcass was gleaned this past year, my sister’s son began his 27th annual search. He scoured the Internet and beat paths to local markets until he found one that was a little more unique – a female version. Apparently, he told me later, the nutcracker field had been male dominated until recently. When she opened the moderately disguised package with the grass-skirted hula dancer she again feigned mock surprise but her eyes beamed for real. Her little boy, now in a 6’-4” frame, leaned over her bedside as she wrapped her arms around him snug, much like 1985. It was a long hug, warm and fuzzy, chock full of his mom’s unconditional love. The new Hawaiian lady and few others that were rotated into her room kept her company after the New Year while her son was busy helping run a college and her husband worked. Her inanimate companions continued their round-the-clock vigil until May 17, when for the first time in five years, the registered nurse, the mother, the wife left for awhile. Then, on the twenty-third of May 2012, the nutcrackers cried. That was the day my sister died. This is beautiful Daddy, I am writing this through tears because as aunt Ronnie said it is a tear jerker. Thank you for such a beautiful reflection on her, and yes the nutcrackers did cry that day. Ed, what a wonderful, loving way to memorialize Susan. Beautifully done.